Education is the start for a future. But for children with learning difficulties in reading, writing and calculation there are no easy ways. The SIRA schools in Bethlehem and Jericho are today the only schools in Palestine fully presenting special education in this area. Our schools provide for many children a solid ground to start from. 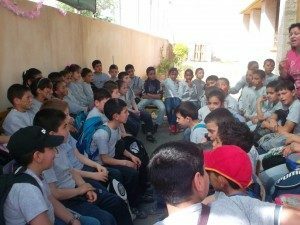 All donations are important for the SIRA schools in continuing to support as many children as possible and your achievement makes a difference.